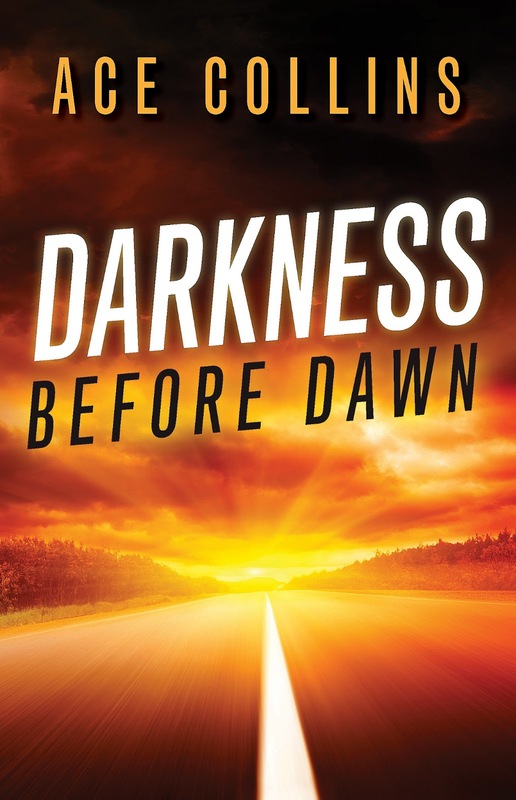 Q: You categorize Darkness Before Dawn in the genre of moral issues suspense. How would you define that category? A novel has to be entertaining, so authors have to use some kind of genre, be it adventure, romance, drama, suspense and intrigue, in order to pull the reader in, then we can focus on moral issues. But the lesson has to be a part of the plot. This book uses drama, heartache and suspense in a way that might mirror Alfred Hitchcock’s movies, but its goal is to leave the reader thinking about choices. My next book, The Cutting Edge (due out this fall), really employs suspense to make its moral point. The suspense is the vehicle that carries the reader to the moral point we are making. Those values or issues in Darkness Before Dawn include abortion, suicide, DUI and a judicial system that can be swayed by influence, power and money. Those are pretty heavy topics, and they are wrapped in a plot that centers of cost or price of revenge and retribution. In other words, Darkness Before Dawn is a wild ride going into areas a lot of Christian books really don’t want to touch. That includes showing the bad side of a really good woman and flipping our feelings for the villain from hate to actually empathizing with him. My goal is first and foremost to create books you can’t put down. In other words I want these novels to be page turners, to keep you reading by being so interesting that they cost readers some sleep and examine life decisions. It will explore them not just in a black-and-white fashion, but in these pages I want to get readers to consider the middle ground as well. Moral issues are not easy, and when faced with doubt, grief and pain, many Christians often make choices that others don’t understand. So I want to leave readers with a lesson that there is great wisdom in leaving the judging to God and for readers to realize that there is great power in embracing those in need even if we don’t agree with their choices. After all, a doctor can’t heal anyone until he or she lays their hands on that sick patient. Q: What message do you hope readers walk away with after reading Darkness Before Dawn? I am hoping folks see the real pain and suffering in a life fueled by hate and vengeance. I hope in the end they also see the greatest power on earth is forgiveness and love. Q: Meg is very angry at God after her husband is killed by a drunk driver. Do you think there anything wrong with asking, “If there is a God, why did He let this happen?” when something bad takes place in our lives? I think it is a natural question. I think we all ask it when tragedies happen. When a hurricane or tornado hits and so many die, we wonder “Where was God in this?” I think the same thing is true when we see a child who has a terminal disease. Thus I think Meg’s reaction is one most of us would have, but I’m not sure how many would admit having it. That is why we have Nancy in the story. The dying woman who really knows about life not being fair gives Meg and us a perspective to consider. Q: In dealing with her grief, Meg becomes very set on seeking justice for the drunk driver involved in her husband’s accident. How does her anger and bitterness make her situation even worse? Seeking retribution and revenge brings out the ugliest side of any person. They become consumed by it and therefore lose their ability to reason. As we say in the story, a little bit of hate unchecked becomes a cancer that destroys all that is good in a person. So hate and bitterness gave her focus, but it made Meg’s life far worse and it took her being confronted by her own answered prayers to see the full cost. Q: The story gets into abuse of power and influence over our court systems. It’s a little difficult to get into some of the issues of the book without giving away spoilers, but would there have been any court ruling Meg would have seen as fair given her state of mind at the time? Though she didn’t fully realize it, Meg wanted an eye for an eye and a tooth for a tooth. Thus any ruling under law would have left her hollow. She saw the ruling as a mere slap on the hand because perhaps the influence of a rich and powerful family drove her over the edge. I’m not sure it would have not have done the same thing to most of us. Q: Meg found out she was pregnant on the very same day her husband died, which makes a difficult time in her life even more complicated. Once the baby is born, she names her Dawn. Can you share some of the symbolism of this choice as it relates to Meg’s life? The name Dawn represents Meg living through a darkness she could not imagine and then once more finding the faith and the light. Dawn therefore represents not just a hopeful name for a baby but Meg actually finding a reason to live and the power to forgive. So it represents a new start for her as well. Q: You’re very passionate about reaching Mothers Against Drunk Drivers (MADD) and Students Against Destructive Decisions (SADD) groups with this release. Has there been an event in your own life that has driven this passion? I was 15 when my best friend was killed by a drunk driver. I watched what it did to his family, the toll it took not just in the weeks after his death, but on those parents for the rest of their lives. Meanwhile the man who was driving the truck, even though he had been convicted of several previous DUIs and was driving without a license, got off with just probation. So I have been waiting for a long time to use what I witnessed in my teens in a book. Q: You are very prolific! How long does it usually take you to write a book from beginning to end? It varies; a nonfiction book usually takes me longer than fiction. The shortest time it has ever taken me to do a 100,000-word novel is five weeks. That includes the writing and four-to-five rewrites. This is the way I work on books; I write a chapter and then go back and rework it three-to-four times. Then, when the book is finished, I go back and rewrite the whole thing one more time. Realize, when I am writing books, I also usually work six days a week and as many as 14 hours a day, too. But I like to write four books a year, and this is the method I have to employ to meet that goal. Q: Is it difficult to come up with new material constantly? In truth, the ideas are pretty easy for me. I have all these characters locked in my head, and if I didn’t put them in books they might just drive me crazy. It is the writing that is the work. On top of that I have a log book where I keep ideas, book outlines, hooks, plot twists, etc. I figured out the other day I have to live to 128 and write four books a year to go through the whole log book. I also have more than 50 church bulletins filed away that have detailed book ideas on them. 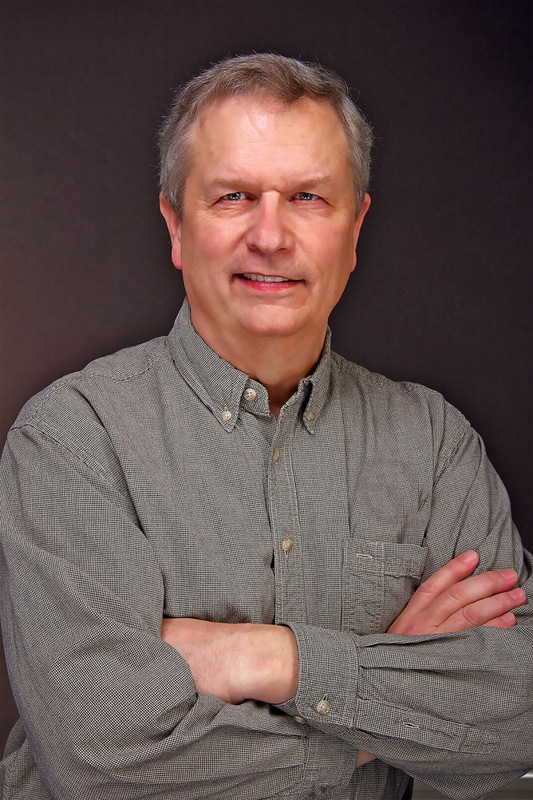 Q: You’ve written everything from novels to biographies and how-to books to devotionals. What do you enjoy writing the most? How do your projects come to you? I have had so much success in nonfiction over the years, I should say I really like that. But in truth I most love the challenge of the novel. Fiction’s only limit is imagination while nonfiction is limited by facts. Thus, to have the freedom to create lives and then take them on adventures is just an amazing experience. That said, I want to continue to write nonfiction, too. And both fit well with my fascination with history. Q: Can you give us a tease for what happens in your next book, The Cutting Edge, coming out in October? A top fashion model is assaulted in a dark alley, and the man behind the crime uses a broken bottle on her face. Now a woman who has always leaned only on her appearance must learn to be beautiful from the inside out. While she is trying to cope with what she sees as “the monster in the mirror,” she doesn’t know her attacker is stalking her every move in order to finish the job he started in that dark alley. I think readers will want to read this book with the lights on and the doors locked. 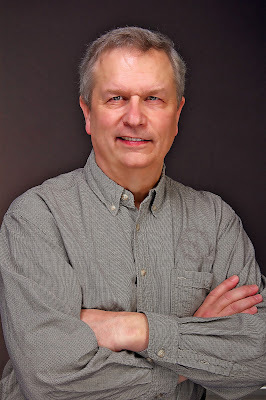 Learn more about Ace Collins and his books at acecollins.com. Readers can also become a fan on Facebook (ace.collins) or follow him on Twitter (@AceCollins).